For our entire history, humans have always searched for new ways to share information. This innate compulsion led to the origin of writing on the rock walls of caves and coffin lids or carving on tablets. But it was with the advent of papyrus paper when the ability to record and transmit information exploded, allowing for an exchanging of ideas from the banks of the Nile throughout the Mediterranean--and the civilized world--for the first time in human history. 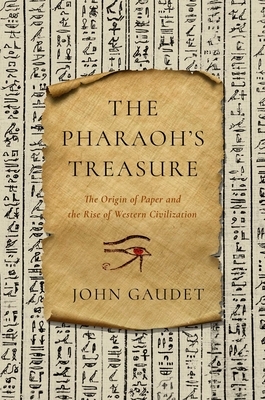 In The Pharaoh's Treasure, John Gaudet looks at this pivotal transition to papyrus paper, which would become the most commonly used information medium in the world for more than 4,000 years. Far from fragile, papyrus paper is an especially durable writing surface; papyrus books and documents in ancient and medieval times had a usable life of hundreds of years, and this durability has allowed items like the famous Nag Hammadi codices from the third and fourth century to survive. The story of this material that was prized by both scholars and kings reveals how papyrus paper is more than a relic of our ancient past, but a key to understanding how ideas and information shaped humanity in the ancient and early modern world.